I enjoy watching the Death Note movies.So I made this. 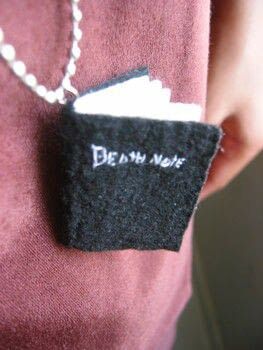 Note: I'm so sorry because my English is not good. English is my second language. First you need the pattern. Cut the felt according to the pattern. 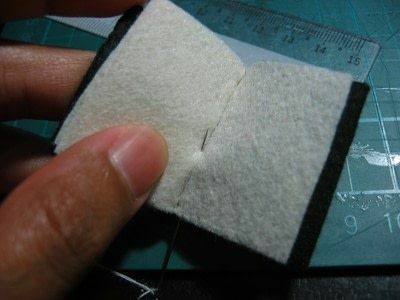 1 piece for the inner side of the cover. 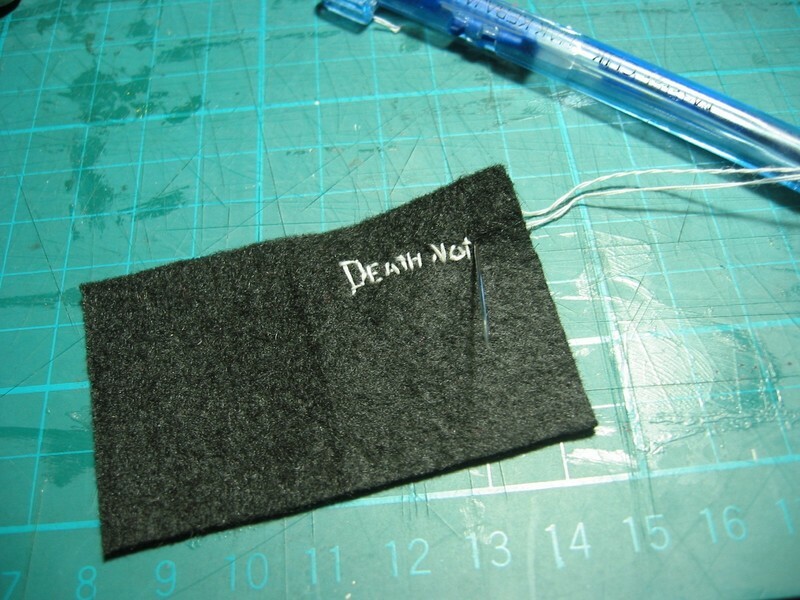 Then sew the "Death Note" on the front cover of the book. 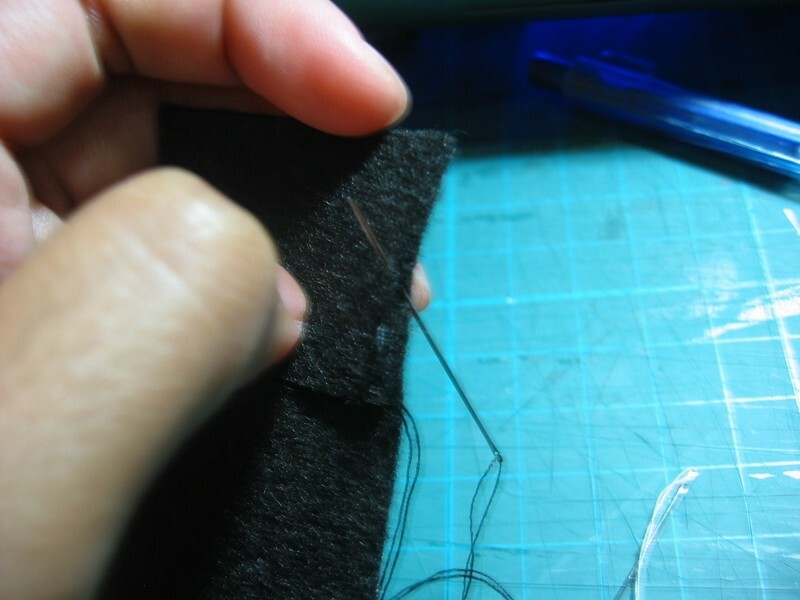 This part really take my time. 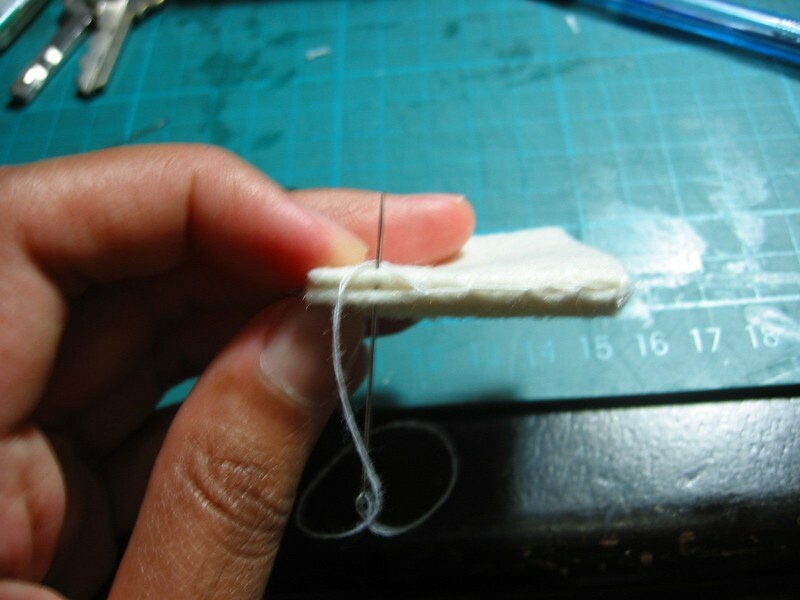 Next, take the inner side of the cover piece and sew it at the back of the front cover to cover the mess. Sew it with a black thread. 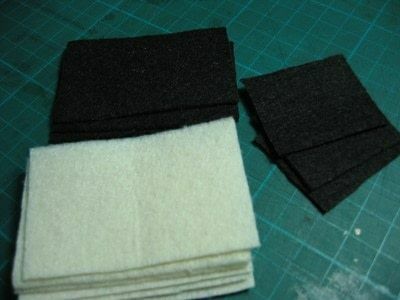 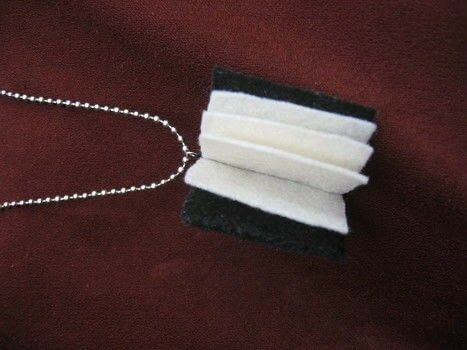 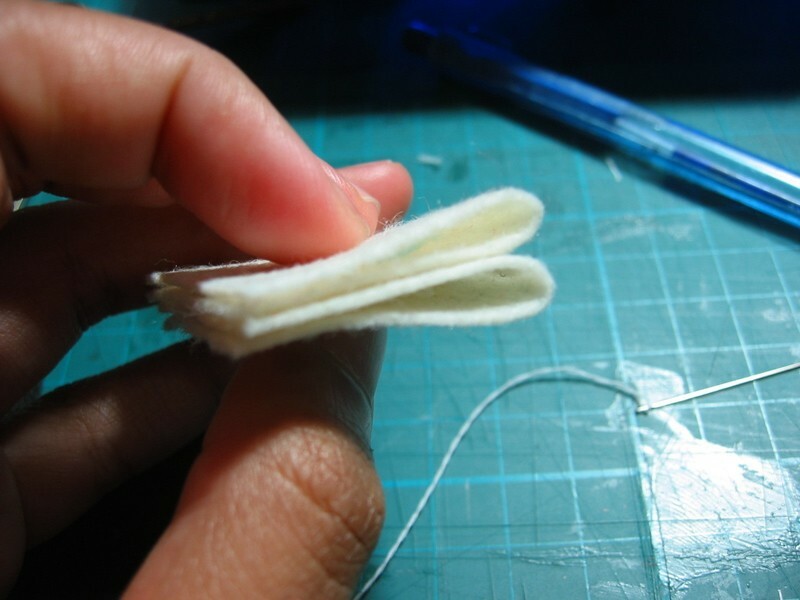 After that, take the white felt(I use cream felt), fold both pieces into half and put them next to next just like in the picture. 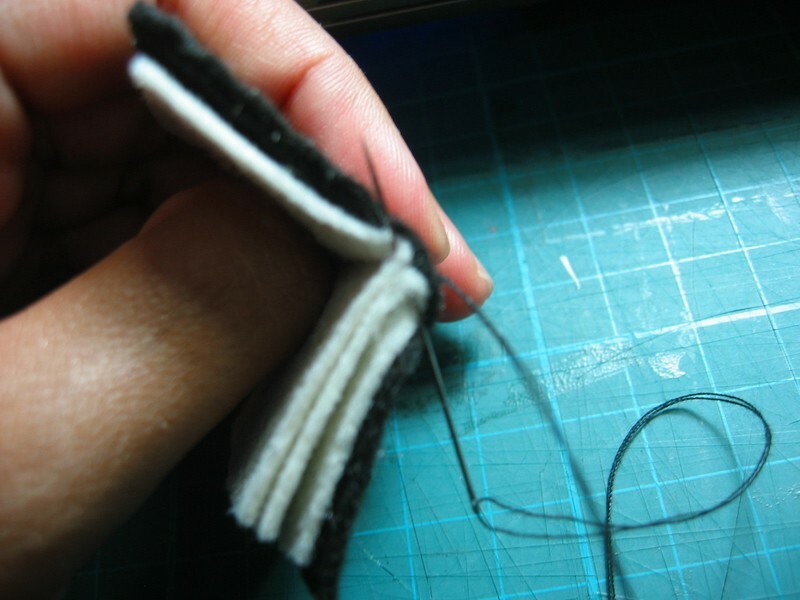 Then just sew them at the folded part using blanket stitch. 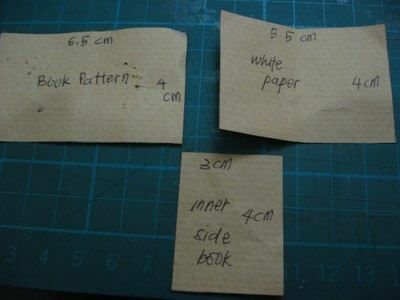 Sew the paper to the book cover. I sew it at the outer part to secure it more. 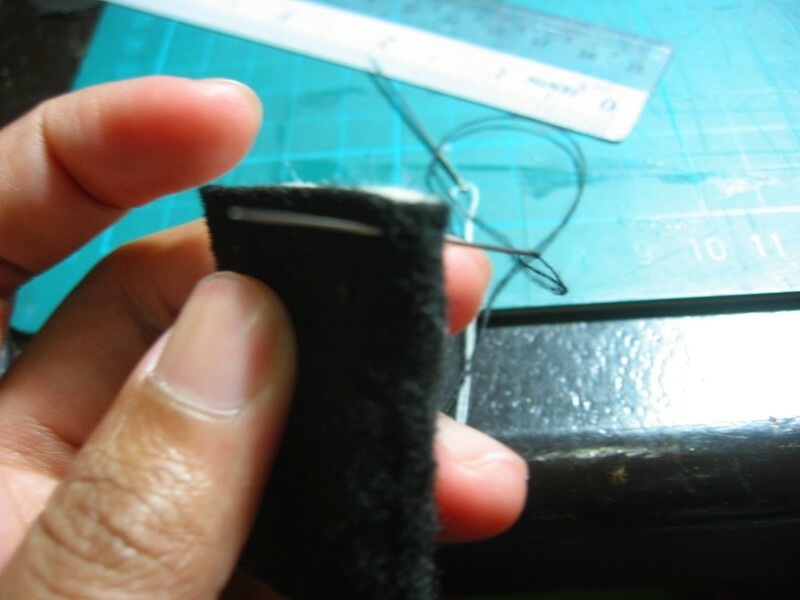 Make a small stitch as you don't want it to be visible. Then make a loop at the top of the book and attach a jump ring. 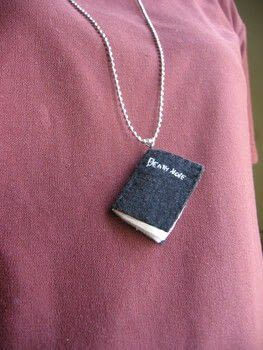 Just attach the book to a ball chain to make yourself a new necklace or..
attach the book to a keychain ring and hang it to your bag or anything you can think. Omg this is too cute, my boyfriend loves deathnote totally going to make him one for his keys! Thats really cool, I'll have to make one... 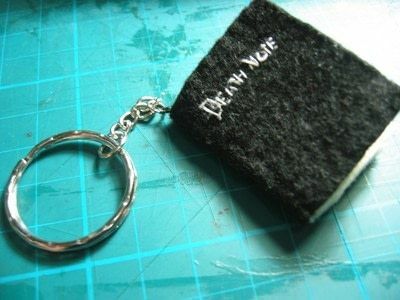 I might be tempted to write someones name in it though, and I'de have to buy a load of apples first! i need 2 make this coz i luv deathnote!